When as many as 73% of adults are scared to go the dentist, how can we expect our little toddlers and children to remain hassle free and not throw tantrums in the dental chair? However, a trip to World-Dent shall be no more than a joy ride as your child learns the importance of good oral hygiene as well as all the preventive measures to ensure superb dental health. We believe that children of various ages, ranging right from toddlers to preschoolers to adolescent require a different approach in dealing with their psychology, mannerisms as well as the treatment. Ideally, it should be when the first tooth erupts. So we believe in the philosophy "First Visit by First Birthday." This would help monitor the growth of the deciduous as well as the final permanent dentition and achieve a smooth transition and an ideal set of permanent teeth. WHAT IS THE GOAL OF PEDODONTIC TREATMENT? The main aim of pedodontics is to instill the qualities of good oral hygiene in the child from the beginning. 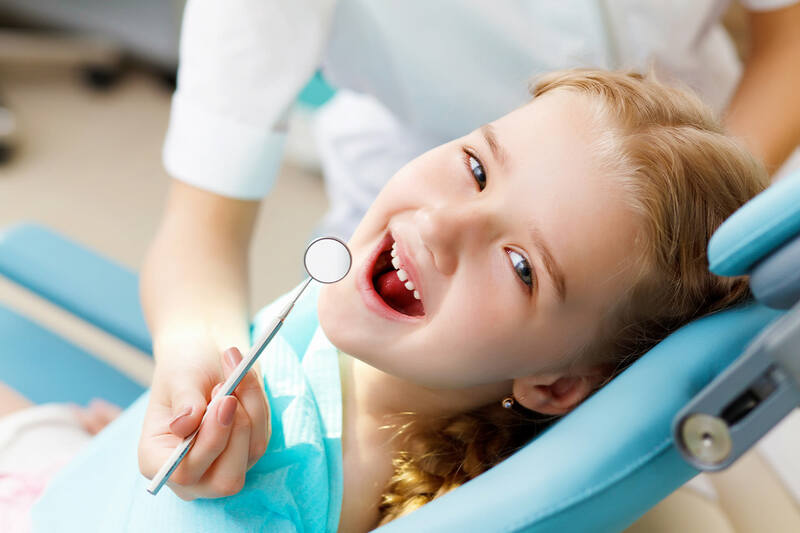 We, at World-Dent educate the child as well as the parent on the right techniques of brushing, prevention of dental caries as well as other oral problems, all of which finally help ensure excellent dental health of your child. WHAT IS THE IMPORTANCE OF DECIDUOUS TEETH WHEN THEY ARE FINALLY GOING TO BE REPLACED BY PERMANENT TEETH? They are essential for feeding, nutrition and general health of the child. They serve as space maintainers and a guide to help the permanent teeth erupt in their desired positions and help achieve an ideal permanent dentition. They help the child develop normal speech. Missing deciduous teeth due to caries or any other reason may cause the child to be teased by their peers leading to a lack of self confidence.